Travis County State Jail is a large correctional facility located in Austin Texas. This jail houses up to 1,161 male inmates that range from minimum to medium high jail offenders (J1, J2, J4), and minimum custody (G1, G2), youthful, and transient offenders from the prison system. The majority of inmates at Travis County State Jail are serving relatively short sentences. Some inmates can be held at the jail for up to two years. 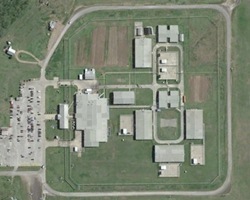 The facility is secured by a large razor wire fence, multiple electronic detection systems, and a roving perimeter patrol. Inmates at Travis County State Jail have several treatment programs available to them, which include a substance abuse treatment program, and a youthful offender program. Inmates are also encouraged to take educational programs that will benefit them, these may include literacy courses, adult basic education classes, GED testing, a pre-release course called CHANGES, parenting courses, life skills classes, and cognitive intervention. Work assignments within the institution include facility maintenance and a unit garden. Visitation is held on Saturdays and Sundays from 7am to 5pm. Inmates are allowed a single two hour visit each weekend. Visitation ends promptly at 5pm so if you arrive anytime after 3pm you will not have a full two hour visit. You must be on the inmate's approved visitation list in order to attend a visiting session. Visitors may bring up two twenty dollars in quarters contained in a clear Ziploc bag to use in the vending machines. The ID you use to enter into visitation must match the address the facility has on file or you will not be allowed to visit. Always contact the facility prior to attending a visiting session to ensure the inmate is still located at this facility and that visitation has not been canceled for the day.